If I could sum up this book in one word, it would be, “unity.” It is what the church needs to be and why so many are leaving it. If I could sum up this book in one phrase, it would be, “the priesthood of all believers.” All the members of a church are capable of leading and teaching church members. 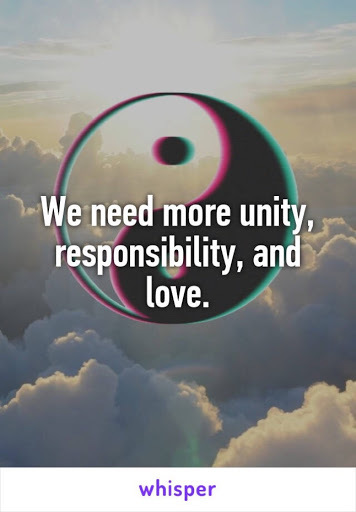 In fact, it is our responsibility and we are all equal in this. Why don’t we do this? As Richard Jacobson points out, “we desperately want someone else to take responsibility for our relationship with God” and I think this is true. He also says that, “the church was never meant to become a corporation. […] the way to unlock our calling as a genuine church community is to remain focused on Christ, not by becoming distracted by all our ideas about genuine church community. […] the church isn’t something you go to; it’s something you are.” I think all of these things are true. I read this book at just the right time for me. Because of my job, which has a flexible schedule, I am not able to attend the church as regularly as I like. I have been dealing with this truth ever since I started the job almost a year ago, which means either I quit my job – not going to happen – or that I radically accept my situation and figure out how to make it work. I do think my church is better than most at being a community and with giving power to the congregants to lead the church. I told my recovery story as part of the sermon one day and I used to write the liturgy. We have ways of staying in touch online and we gather often for fun, for work and for shared decision-making. What I need to do is to take responsibility of making my own connections with God and with my community. I have started reading my Bible and writing about my insights semi-regularly again. I am hopeful that I can gradually able to make this into a new habit. Reading scripture keeps me positive and uses my brain. Ultimately, it leads to insights that enriches my life and others’. I also need to be more intentional about being with my church. Because the members of my church get together so often, theoretically, I should be able to see them more often. Perhaps not as regularly as I used to but more often than I do now. Right now, I am in a period of forming new habits and getting my messy life back into more of an order, so I feel less overwhelmed by the prospect of more intentional spiritual community. It would have been too much this past Winter. I appreciated Jacobson’s feminist readings of scriptures concerning women, even if his tone sometimes seemed too authoritative. I would recommend this book if you have questions about why mainstream church is the way it is and are trying to think outside the box. If you really love dissecting scripture, then this book might be for you. Or if you want to be introspective about your spiritual journey and what is and is not working for you. Do NOT read this book if you are not prepared to question the big, institutional church or if you view your church service as needing to provide you entertainment. The church is supposed to be about unity and about everyone sharing responsibility. I know I often fall short but I am excited to try to make things right.